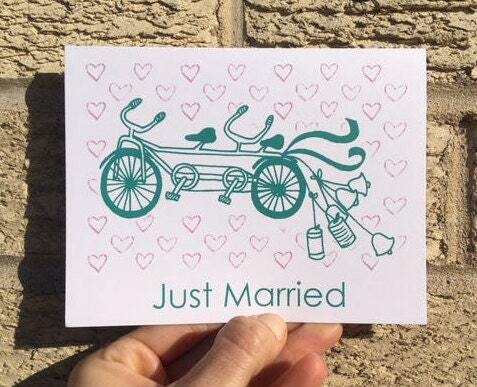 Give your newly-wed friends a cute wedding card featuring a super rad bicycle built for two. Blank A2 card. It comes with a coordinating envelope and a protective cello sleeve. It will ship via USPS First Class mail in a cardboard mailer. 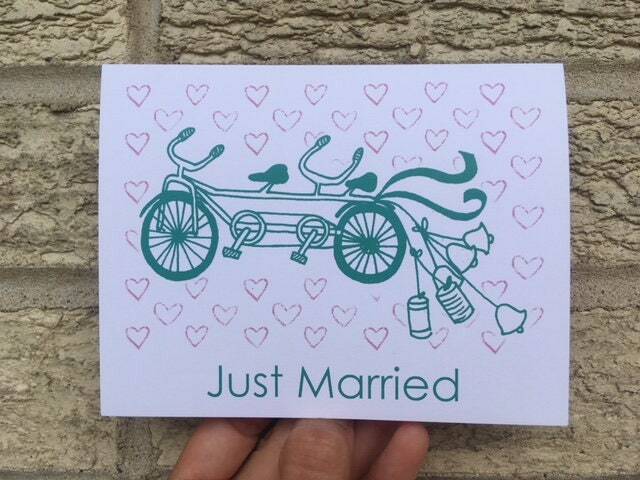 Quickly shipped-- totally cute. The happy couple will love it. Thanks!